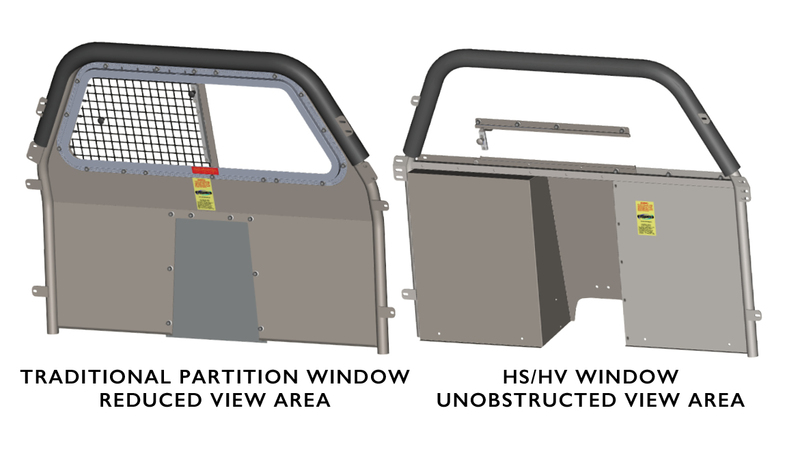 (HS/HV) Window Vehicle Partitions offer Officer safety and comfort. A High Security/High Visibility (HS/HV) Window gives officers the best of both worlds - tremendous sight lines, whether looking out the rear view or turning around and also knowing that the prisoner can't attempt to escape through the window opening. The 4”H x 11”W window allows for communication or passing of information but there won’t be anyone that will squeeze through this opening. If a prisoner spits/bleeds/smears the window – it is still easily cleanable…not so with “expanded metal”. The HS/HV window increases the visible area by a whopping 41% vs. older style windows. When someone sits in the drivers seat and looks through the rear view mirror for the first time, the natural reaction is to turn and look to see if a partition is installed…because the view is so clear. compared to traditional partition windows and also prevent “crawl-through” incidents by prisoners. 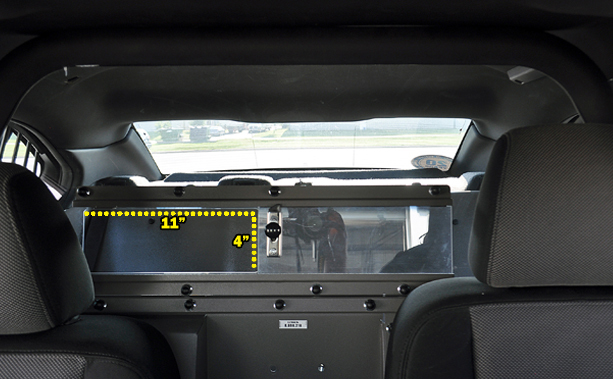 The Jotto Desk HS/HV Vehicle Partition is widely available for most late model public safety vehicle models. Please see the Vehicle Partitions product category for more information.